Electronic Christmas gifts for men are all the rage during the holidays. There is just something about items that have batteries, cords and buttons that seems to appeal to men of all ages. Maybe it’s their fascination with making things work, maybe electronics remind them of the cool toys they had when they were kids, or maybe it is because of some strange reason known only to men. Regardless, in all of my years of shopping for Christmas gifts for men, if I’ve learned anything at all it’s that you can’t go wrong by purchasing electronics. Electronic Christmas gifts come in all shapes and sizes, a variety of price ranges, and offer an assortment of features. From high tech electronics to basic electronic toys, there is something in the world of electronics for almost any age or personality type. If you have a magnificent man on your holiday gift shopping list who is difficult to find gifts for, electronics are the perfect solution. Just check out a few of our favorites! If that wonderful man on your list is a music lover, electronics are sure to be a hit this holiday season. 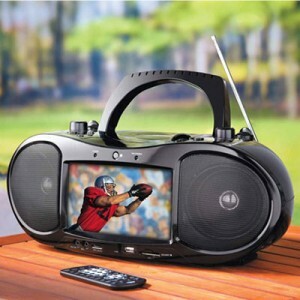 Consider a portable multimedia player and let your favorite man enjoy his favorite tunes and movies no matter where he goes. 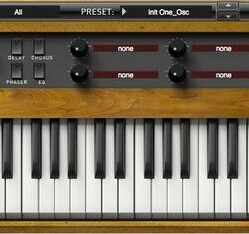 Maybe the man in your life likes to create music of his own, and if that is the case, check out this versatile virtual instrument that enables him to create a variety of sounds and music styles from a single instrument. Does your man get hooked to the television on game day? Give him a portable TV and let him take the game with him on camping trips, vacations, and of course the hammock in the back yard. For as long as I can remember, the men in my life have been fascinated with spy technology, and if that is the case with your man, we have the perfect gift idea! Check out the Do It Yourself Home Surveillance System for a high tech spy gift he is certain to love. Remote control toys make excellent electronic Christmas gifts for men of all ages, and these days, there are all different types to choose from. Check out this remote control car which is one of our favorites. We’ll bet your gamer needs a Christmas gift for the man cave this holiday season, and we’ve got just the thing. Bring back his childhood with a blast from the past Arcade Machine! 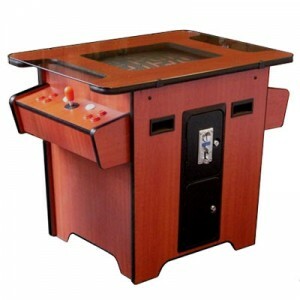 Designed to play a wide variety of his favorite vintage arcade games, this unique Christmas gift is sure to make it a Christmas to remember. What electronic Christmas gifts for men have you been considering this year?